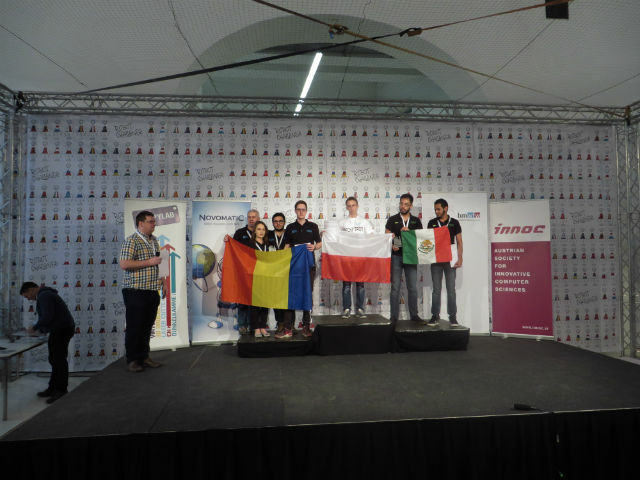 The fastest robot in RobotChallenge, Vienna, was built thanks to TME! 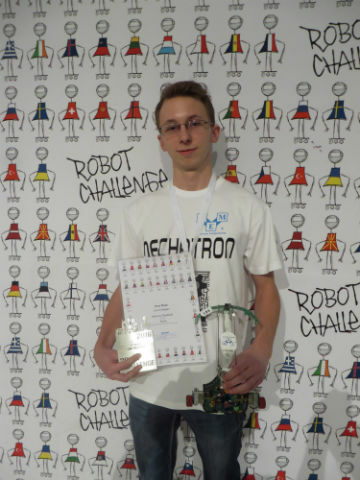 Mariusz Pałubicki, in constructing the fastest robot in the world. Our contestant was the best among more than 80 other constructors. 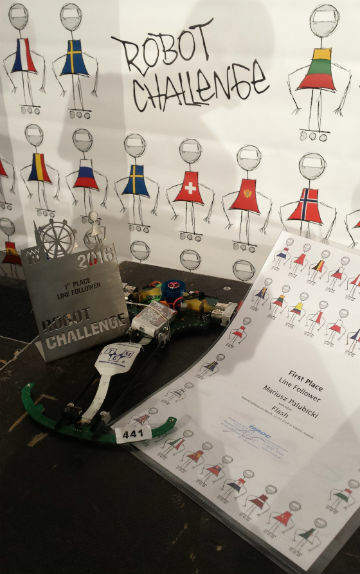 His robot won the Line Follower category, i.e. autonomous machines which move on special tracks. This year 800 contestants took part in the event. They competed in 14 categories. The challenges were suitable for beginners as well as experienced robot designers. Congratulations Mariusz! We wish you every success in the future!